Posted November 29, 2017 by Josette Farrell in News. 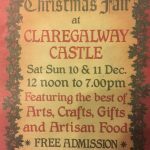 CLAREGALWAY is looking forward to a very festive Christmas this year, as the traffic problems it has faced for years are reduced somewhat by the opening of the motorway. 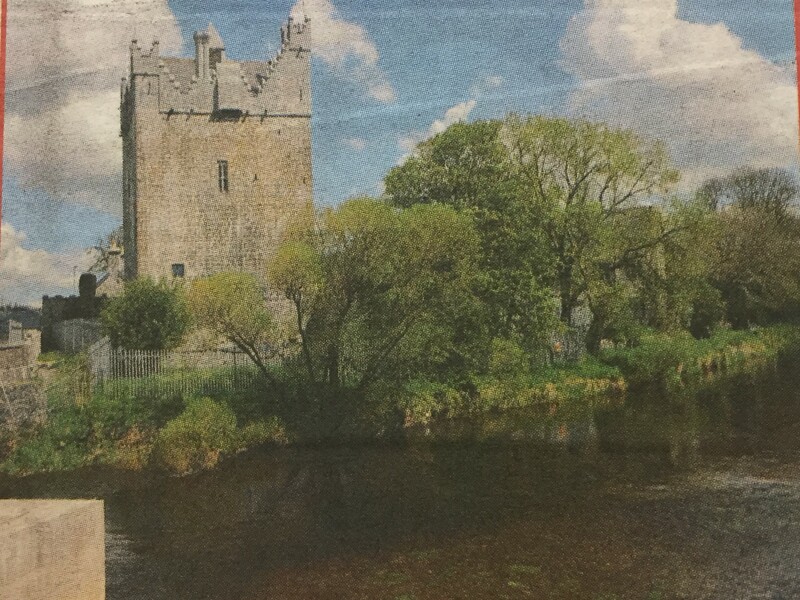 The most dominant structure in the village, the magnificently restored Castle by the Clare river, will host Christmas at the Castle up to December 24. 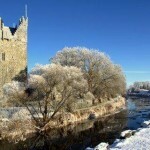 There will be lots of family fun and entertainment there when, for a limited time only, Claregalway Castle and its stunning grounds will be transformed into a winter wonderland, creating a truly unique, magical, Christmas world for kids (and adults) of all ages. 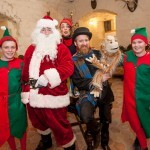 Tickets are selling fast, so book now on www.castlechristmas.ie. Another great venue is The Arches Hotel, the perfect spot to catch up with family and friends over Christmas. 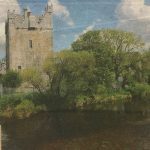 Owned and operated by the Dunleavy family, it is known for its cosy, intimate surroundings, fantastic food and wonderful staff. Whatever you’re looking for, be it a group party night, an intimate get together with some close friends, or to have a drink and a dance on one of the big traditional nights out over the festive period, the Arches has all bases covered. Christmas parties are back with a bang. Speaking this week, Brendan Dunleavy, General Manager at The Arches said, “We’ve seen a big increase in demand for Christmas Parties this year. If you’re looking for more intimate experience, the Arches have tasty festive three-course lunch or evening menu available for €19.95. The Archds have a packed entertainment line up over Christmas, with live music on all the traditional Christmas nights out. New Year’s Eve promises to be a really special night out, with live music by one of Ireland’s best Garth Brooks tribute artistes, Marcus Prouse. Entry on the night is free, with finger food being served. On January 5th, there’s a special night for all the Ladies of the area with the Second Annual Arches Hotel Nollaig na mBan celebrations. This was a massive night out last year with great fun being had and lots of money being raised for local charities, and it’s the perfect way to wind down and relax after a busy Christmas. 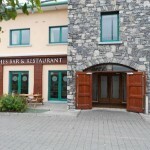 Along with all of the above, The Arches is ideally located for a quick bite on your way to Galway, Shannon, Knock or wherever it is you might find yourself going over the Festive Period. The wish from all at The Arches is “Nollaig Shone agus Athbhliain faoi Mhaise Daoibh go Léir”. Pre-Christmas Treat for East Galway as Music Fills the Air!